INDONESIA – Mobile engagement firm Tuned Global has launched a free music-streaming app called Nada Kita, partnering with the six largest local independent music labels to bring Indonesian music to consumers. The service offers free unlimited access to local music, allowing labels to monetise their music content through a shared revenue model. Its key selling points are that it is free and uses very little mobile data as compared to the likes of YouTube. NDONESIA – Mobile engagement firm Tuned Global has launched a free music-streaming app called Nada Kita, partnering with the six largest local independent music labels to bring Indonesian music to consumers. The service offers free unlimited access to local music, allowing labels to monetise their music content through a shared revenue model. Its key selling points are that it is free and uses very little mobile data as compared to the likes of YouTube. 2015 has proven to be a great year for brands that have used music as their hook to create meaningful and personal connections with consumers emotively. We’ve seen how music has driven marketing in full force this year, producing significant results. It has left little doubt that an effective way into a consumer’s heart is through their ears. In this article, I will share my favourite campaigns that have successfully used music as a marketing tool to turn music-loving fans into brand-loving fans. This is one of my personal favourites, as I believe its approach to the entire music strategy has been a dedicated one. Converse used music to gain a deep connection between brand-lovers and music fans. It created a free recording studio ‘Rubber Tracks’, which was inspired by its CMO, Geoff Cottrill, whose deep passion for music has helped steer all things marketing at Converse. ‘Rubber Tracks’ is a community-based recording studio dedicated to help fledgling musicians jumpstart their careers. Converse gave these musicians the platform they needed, positioning them at the centre of its marketing campaign. What makes this campaign even more powerful is that Converse identified these artists to not only be creative partners, but also to be the core consumers of the brand. By consistently acknowledging how musical talent deserves the brand’s support, Converse owned musicians as a loyal audience. Through music, Converse was able to differentiate its brand identity from other shoe manufacturers. This is why this American footwear brand is globally popular and loved. It has more loyal fans on its Facebook page (37.6 million) compared to Adidas (21.8 million) and Nike (23.4 million). John Lewis makes my list with its memorable Christmas ad, which used music to spread the message of goodwill among the elderly. It has been consistently upping the ante since 2007 by releasing stunning commercials with its emotional storytelling by using a combination of brand values, strong narrative and the perfect choice of theme song. This year’s ad, ‘Man on the Moon’, is exceptional. The company used music to create a powerful story to stand out from the clutter of the ‘holiday’ marketplace, particularly when most retail stores are focused on the heavy sell. The ad, which has had over 21.6 million views on YouTube to date, used a downbeat cover version of an Oasis’ song entitled ‘Half The World Away’ sung by up and coming Norwegian singer, Aurora. Essentially this is what John Lewis does best, but the reason I like it so much is that it uses fresh talent to create a new render of a popular song and by doing so, produces a signature rendition exclusive to the brand. Music has enabled John Lewis to form an emotional connection with its target audience for almost a decade and as it appears, the brand’s emotional footprint grows stronger and bigger each passing year. With so much competition in the marketplace, brands can learn from how well John Lewis’ heartfelt ads have used music to inspire a community to do good. HP partnered with UMG this year in a marketing campaign that was aimed at making HP computers a preferred choice among the younger demographic. The company launched a music streaming service called ‘HP Lounge’, which is available for free when consumers purchase a brand new computer. This campaign was cleverly tailored to capture young consumers’ hearts through their ears. It used a strategic approach of using a free music service to appeal to millennials, but also gave HP a way to gather valuable customer data. In this particular campaign, HP certainly has placed music at the forefront of its brand and by doing so, sets itself apart from other Windows laptops. I particularly love this one as it’s so unique and original that you may wonder why UNO NYC goes to all that effort for such a short ride. It’s a simple, but clever marketing strategy. 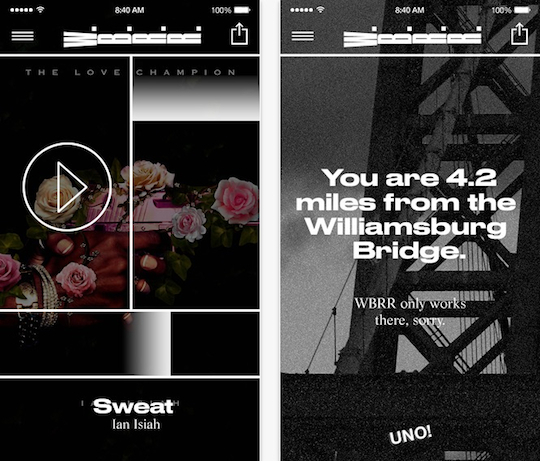 Brooklyn record label, UNO NYC, on July of this year released a music app that only works on the Williamsburg Bridge. It tailored a two track playlist daily to an exact location on the East River overpass. This marketing campaign was so in touch with the technology of today and was highly innovative in creating buzz for the record label to promote its key artists, such as Mykki Blanco. I believe what makes this campaign so clever though, is how it used geo-targeting to capture a specific audience. This was a unique approach that sparked a lot of engaging conversations on social media. Coke Zero launched a completely interactive campaign as part of its sponsorship at the NCAA Men’s Final Four competition back in May. Coke developed a gigantic 26-by-36 foot ‘drinkable billboard’ encouraging consumers to physically interact with its campaign. What makes this campaign brilliant is how it used music discovery app, Shazam, to enable consumers to communicate via their phones on how delicious a Coke Zero was. In addition, consumers were able to unlock additional mobile content via Shazam. Consumers also used the Shazam app to unlock mobile coupons, which they could use to redeem free 20oz bottles of Coke Zero. This makes my list because of its innovative approach in using a music app to connect TV ads to mobile interactivity and by doing so, created a memorable and unified consumer experience. The campaign earned 166,000 hits from Shazam and a 15% conversion rate. It was a well-balanced campaign with multiple consumer touch-points and was definitely an authentic consumer-centric campaign to quench our marketing thirsts! 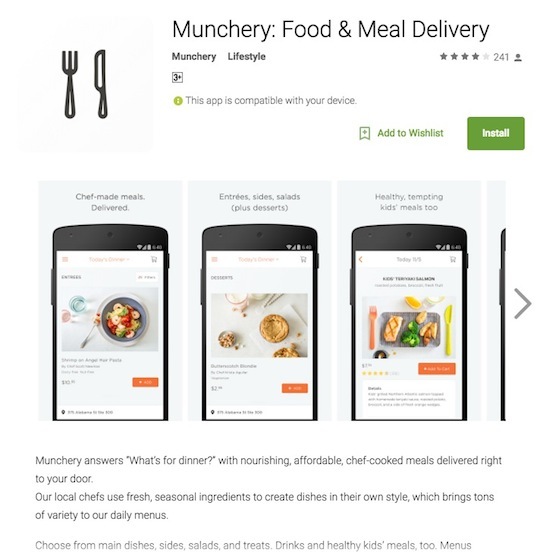 Munchery made my list for its use of music to differentiate and add value to its services. It was a short-term marketing campaign, which allowed subscribers of its meal-delivery start-up to order dinner along with a custom-made soundtrack by Google Play Music. The campaign provided customers with a unique dining experience, using a playlist which was tailored around consumers’ moods, times of day and activities. This marketing campaign proves how a brand can use music in a short-term campaign, and then reap the long-term benefits later on. This campaign shows how music can be a vehicle to gather valuable data, which brands can leverage later. Through music, Munchery was able to get to know its customers better. Pairing food with music was a clever way to stand out from the clutter of services in the restaurant industry. H&M successfully used music to extend its brand’s emotional footprint outside its physical stores. On January of this year, we were all introduced to its new muse Florrie, who showcased her own line of fashion completely inspired by her music. H&M also sponsored the iconic US music festival, Coachella, where it built clothing tents so that festival goers could purchase and change into ‘festival ready wear’. Music sponsorship was seen to be a big part of its marketing strategy, particularly when the Nielsen music report stated that “76% of festival attendees reported feeling more favourable towards brands that sponsor a tour or concert”. With communication constraints on advertising of alcoholic products, Smirnoff used the power of music to engage millennials by promoting a music-centred lifestyle. This year, to launch a new line of liqueurs, the company continued along the music theme with Smirnoff Electric, where musicians such as Djemba Djemba, collaborated to produce the song “Give it to the moment.” The aim was to create a global social movement enriched by music collaborations that spanned the globe with the catchy hashtag #WhatWeBring. The campaign used music to celebrate diversity of age, race, gender, sexuality, culture and style. Through music, Smirnoff echoed a positive message about inclusivity around the world. The collaboration between Marriott International and UMG was a match made in music heaven, using the hotel’s reward system to successfully acquire and retain customers. The campaign called #WithTheBand rewarded consumers with a memorable music experience. The campaign, which started on June of this year, already premiered live performances including UMG artist, Ellie Goulding. The marketing campaign has also included branded video series, social content, music downloads and concerts. It’s a clever way to market to the next generation of cool travellers through the universal language of music. Marriott Rewards has more than 50 million members who are eligible to participate in more than a dozen sweepstakes in order to win VIP concert experiences. Its loyalty card holders can also attend UMG-sponsored events and after parties at premiere music industry events and festivals. American Honda incorporated music in its marketing strategy over the last year to extend the brand’s emotional footprint and engage with millennials. It has been a music sponsor at music festivals such as Founders’ Governors Ball, C3’s Austin City Limits and Live Nation’s Music Midtown in Atlanta. Its latest partnership with Woven Digital called ‘Uncharted: The Power of Dreams’ aimed at connecting with millennials via rich storytelling. Uncharted was created as an extension of Honda’s music stage program, which also has its own YouTube channel. The series also broke new ground for Honda Stage, adding an element of emerging talent to the mix, complementing the brand’s overall commitment to producing quality music content for fans. Honda used music to reinvent its brand identity and stand out in a cluttered world of cars. What does this mean for brands in 2016? Music was successfully used by all of these 10 successful brands to resonate with their consumers by hitting that emotional nerve that is within all of us, and can be triggered in an extremely powerful and personal way through music. As seen with all these campaigns that use music to engage consumers, there is no limit to what marketers can achieve by using the #PowerOfMusic to drive impactful results. Just as the way consumers access to music has changed over the last several years, brands can adapt and introduce new means of communicating with consumers by ensuring music is at the forefront of their marketing strategies in 2016. LOS ANGELES—Tuned Global, a white-label digital music provider in Australia and South East Asia, announced an audio advertising partnership with audio industry technology provider Triton Digital, allowing the firm to monetize its customized mobile music apps for brands and labels through premium targeted audio ads. Tuned Global will join a2x, Triton’s programmatic audio exchange, to enable the programmatic purchase of its digital audio inventory across its streaming apps. The platform’s automated, exchange-driven method of buying and selling ad impressions facilitates rapid and precise transactions, according to the company. The inventory will be packaged with consumer data containing information about online purchase intent, household demographics and behavioral propensities, allowing advertisers to reach targeted audiences in Australia, New Zealand, Southeast Asia and the United States in real-time, while maintaining a great in-app experience for the user thanks to content relevancy. Having identified key opportunities in the emerging markets of Southeast Asia and Indonesia, the Australian company has hired a local team of music and digital industry experts, who have already signed a strategic deal with the biggest independent Indonesian label, Musica Studios. Funded partly by the investment of $5.1 million from Australian venture capital firm, Exto Partners, the new Tuned Global office in Senayan, Jakarta is now the Asian headquarters for the highly disruptive digital music firm. It plans to grow its Jakarta team by recruiting more local specialists in business development, marketing, promotions and label relations roles in 2016. Gary Mackenzie, Director of Music Partnerships Asia, has been chose to lead Tuned Global initiatives in Indonesia because of his 10 years of experience in digital marketing and music industry in Asia. Having already led the partnership agreements with Musica, Gary believes it is important for Tuned Global to have talented local people on the ground in Indonesia in order to build relationships with the key labels and grow its local business. Tuned Global is currently in discussions with major telecoms companies, leading ad agencies, music companies and key brands, which will help the company to achieve its ambitious growth targets. “We’re excited to have established our Asian headquarters in the highly enigmatic city of Jakarta. We completely understand that business relationships are built over time in Southeast Asia and being located here and investing in the local Indonesian market was a logical step for Tuned Global. Our Asian hub will be instrumental in achieving our goal of becoming a global digital music company,” said Con Raso, Managing Director, Tuned Global. Newly signed partner, Musica Studios has an impressive line-up of the most popular and famous local Indonesian artists, including Noah, Nidji, Geisha and d’Masiv. The vast majority of music played on Indonesia radio and television is by its own local artists, so Tuned Global believed it was important to work with a label that represented the local Indonesian music scene. “Tuned Global develops pioneering music solutions that provide extraordinary opportunities, not only for music labels like Musica, but also to our local Indonesian artists and most importantly it allows us to stream our extensive music catalogue to the Indonesian music fans, which promotes our artists while monetising our content. As the leading independent label in Indonesia, we are very excited to be working with such an innovator in digital music, which will enable us to protect our rich local culture and generate more revenue,” said Gumilang Ramadhan, Managing Director, Musica Studios. “Tuned Global intends to get more involved in the promotion of the local Indonesian music content as the relationship develops with Musica and its artists, because we are passionate about the music industry and want to help in the fight against widespread piracy here by offering new music business models that will make music fans, music labels AND artists happy,” said Gary Mackenzie, Director of Music Partnerships Asia, Tuned Global. Tuned Global, a global white label digital music solutions provider has announced today that it has recently opened offices in Jakarta, Indonesia as part of its international expansion into Asia. Having identified key opportunities in the emerging markets of Southeast Asia and Indonesia, the Australian company has hired a local team of music and digital industry experts, who have already signed a strategic deal with the biggest independent Indonesian label, Musica Studios. Funded partly by the investment of $5.1 million from Australian venture capital firm, Exto Partners, the new Tuned Global office in Senayan, Jakarta is now the Asian headquarters for the highly disruptive digital music firm. It plans to grow its Jakarta team by recruiting more local specialists in business development, marketing, promotions and label relations roles in 2016. Tuned Global, an Australian white label digital music provider has announced today that it has appointed three executives with extensive experience for leading brands in both the music industry and digital marketing sector, to help drive its transformation to a global player. The new talent has been sought to drive the firm to achieve its ambitious growth targets in existing markets in Australia, New Zealand, Southeast Asia and U.S.A. Tuned Global, an Australian white label digital music provider headquartered in Melbourne, has announced today that it has secured $5.1 million in investment from Sydney based venture capital firm, Exto Partners. This investment will fund its international expansion into the US and Asia and support the development of a series of innovative digital music services. Internet radio service, Pandora, has partnered with Australian liquor retailer, BWS, to bring a customised music platform into its stores nationally. In what it claims is its first entry into the Australian retail market, Pandora will stream curated music stations for each participating BWS store based on what consumers are listening to already across postcodes surrounding each location. Pandora’s customers will also be able to stream the branded BWS radio stations outside of the store. The offering is based on the company’s ‘Music Genome Project’, which it describes as a detailed musical taxonomy that uses music ‘DNA’ to personalise what its listeners then listen to. According to Pandora, each song is analysed using up to 450 distinct musical characteristics by a trained music analyst, rather through machine learning or automated data methods. The Music Genome Project’s database uses precisely defined terminology, redundant analysis, and ongoing quality control measures to ensure that data integrity remains reliably high, the company said. The BWS service will be provided in partnership with in-store solutions agency, Mood Media. BWS head of marketing, Kristen Linders, said the brand was thrilled to be partnering with Pandora for an Australian retail first. Pandora’s local business development director, Rick Gleave, said the collaboration gave the music business an opportunity to reach a wider audience while helping provide personalised services to BWS customers. Not to be outdone by news of the Pandora/BWS partnership, white label digital music provider, Tuned Global, said brands are missing a trick by not using digital music as a key part of their content marketing strategy. Tuned Global pointed to Spotify’s Music Streaming Brand Impact Study released in January, which found 61 per cent of music streamers were more likely to recommend those brands to a friend, while they were twice as likely to be stronger brand advocates and emotionally connected to the brand. According to Nielsen’s 2014 Music Report, 67 per cent of music consumers now listen to music online. Tuned Global’s managing director, Con Raso, claimed music can better connect customers to brands as well as building loyalty. “People love music; it evokes peoples’ feelings, triggers their memories and is universal. Brands can take advantage of this fact by offering the music that their customers want. They’ll benefit from a strong emotional connection and long-term relationship with a loyal community,” he said. As the custodians of content as we know it and the instigators of the “on demand generation”, today’s consumers are partly responsible for making digital music, and streaming in-particular, a key part of the customer engagement ecosystem. Music streaming now has a big part to play, mainly because of its ability to give consumers instant gratification. Music acts as a personal identifier for each individual and can create a “halo effect” for a brand that associates with it, because it creates an emotional connection with consumers through the power of music they love. It has a unique affect on the brain, which produces happy memories that evoke strong emotions and it’s the reason you turn up the volume when you hear a song from your past. For this reason, music can be a potent marketing tool, because consumers come to associate that good feeling with the brand that engaged them through the music they’ve streamed. It enables brands to build a long term relationship with consumers based on a shared passion for music that consumers will favour them for. Some well-known brands, including MasterCard, H&M, Burberry and RedBull have all utilised the positive association with music as a way to emotionally connect with their customers and to build a relationship with them. A lot of brands are struggling to cope with the deeper relationship consumers now crave with their products. Music is a universal language that your audience speaks fluently and with it brands can create that deeper connection back to the consumer. Nielsen’s Music 360 Report said that music streamers feel more favourable towards a brand that engages them through music and 61 per cent will recommend those brands. While Spotify’s Music Streaming Brand Impact Study, found that music streamers are twice as likely to be stronger brand advocates and emotionally connected to the brand. Having your brand’s own music streaming experience can help you create a relationship with your audience and a real community feeling, a comfortable environment where you can really promote your brand. There’s no doubt that people love music and according to Edison Research’s recent ‘Share of Ear’ Report, people in the US spend an average of four hours per day listening to it, but many don’t want to pay for it because people feel they are being ripped off. While most consumers say they are not keen on ad supported music content, they would rather watch an ad than have to pay for it. However the number of streamers is expected to grow by 192 per cent by 2019, there are currently 37 million paid subscribers versus 210 million of ad supported users according to MIDiA Research’s report. This creates an enormous opportunity for brands to engage and reward their high value customers by offering a music streaming experience that offers them the music they want, when they want it, for free. 4. WHAT IS THE REAL OPPORTUNITY FOR BRANDS WITH MUSIC STREAMING? By offering their own streaming music solution, brands could create a loyal community and build a relationship with its consumers based on shared values. The consumer gets what they want from the brand they love and the brand stays engaged with them. It is not question of competing with Spotify, Apple or Pandora, but I recommend that you take advantage of the trend they created to use music as a way to interact with your customers. What I am suggesting is a new engagement platform, fully integrated into your digital ecosystem and connected to your Customer Relationship Management system to create a long term, valuable and rewarding relationship with your customer, by offering them high value content. Mass market music streaming solutions are powerful for short-term awareness campaigns because they offer a large audience. However you have to accept that you will be co-branded and you could be displayed near competing brands. Thus, Hyundai, Mini, Honda and VW have all run campaigns with Spotify recently. Moreover, the users are Spotify’s and therefore they own the data, so you lose the connection back to your customer and the opportunity to build a relationship with them. You can use digital music as a loyalty tool for retention as well as for customer acquisition, the possibilities are endless. A retailer can reward its high value customers with a week of free music on its branded radio app any time they purchase specific products. A service provider could offer a year’s worth of access to its own music streaming solution when a new customer opens an account or renews their subscription. You get the opportunity to collect valuable data about your ultimate user, their preferences and interests so you can personalise your offering to them. The end result is a new powerful platform to promote your brand and your product that has a direct impact on your sales. Digital music should absolutely be a key component in consumer brands’ customer engagement ecosystems. Marketers who do not recognise that music has a major part to play in their content marketing strategies are, in my opinion missing the opportunity to make a quantifiable and effective impact on their business. Luxury fashion house Burberry are using music to connect with their customers. A brand which is draped in tradition is branching out and telling their story in a creative way all because of one man’s vision of bringing his love of music and fashion together. Music is permeating everything that Burberry are doing from the virtual to the physical.